At least 30 people, including 27 school children, were killed after a private bus skidded off the road and rolled down deep into a gorge in Nurpur area of Kangra district in Himachal Pradesh on Monday. Twelve injured passengers were rushed to the hospital and are in critical condition. "The bus rolled into a 200ft-deep gorge, killing 27 schoolchildren, two teachers and the driver," said Santosh Patyal, a senior local police official. "My first priority was to save lives. 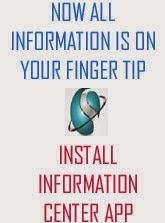 We will now investigate the reasons for the accident," he said. Most of the students were in the age of 10 to 12 years. Local villagers had begun rescue operation even before officials could reach the spot, eyewitnesses said. Around 45 students of Wazir Ram Singh Pathania Memorial Public School were returning home when the bus skidded off road and fell into the 100-feet deep gorge. Teams of local administration and the National Disaster Response Force were involved in the rescue and faced a tough time in pulling out the victims from the mangled bus. "Prima facie, negligent driving and over-speeding are the main reasons for the accident," an official said. Chief Minister Jai Ram Thakur, Governor Acharya Devvrat and Union Health Minister J.P. Nadda condoled the deaths. A magisterial inquiry has been ordered. 1. Modi condoles deaths in Himachal bus accident: Prime Minister Narendra Modi and Congress President Rahul Gandhi on Monday condoled the loss of lives due to a bus accident in Himachal Pradesh, in which 30 people, including 27 students, were killed. "I am deeply anguished by the loss of lives due to a bus accident in Kangra, Himachal Pradesh. My prayers and solidarity with those who lost their near and dear ones in the accident," tweeted PMO India. Vice President M Venkaiah Naidu also said, "I am deeply shocked to learn about the tragic bus accident...my heart goes out to the family members of the deceased." 2. Deeply disturbed by the bus accident, says Rahul: "I am deeply disturbed and saddened by the bus accident in Himachal, that has claimed many lives, including those of 26 children," Gandhi tweeted. "I urge our Congress party workers in Himachal to provide all the assistance they can, to the families of the victims and to those who are injured," he added. I'm deeply disturbed and saddened by the bus accident in Himachal, that has claimed many lives, including those of 26 children. 3. 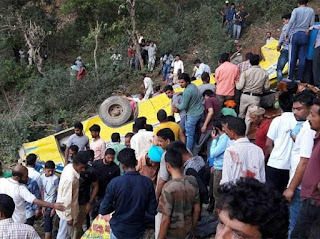 27 kids among 30 dead in Himachal bus accident: Twenty-seven children were among 30 killed when a school bus ferrying them back home plunged into a deep gorge near village Gurchal on the Nurpur-Chamba highway, about 100 km from the district headquarters at Dharamsala. 4. Rs 500,000 for next of kin: Chief Minister Jai Ram Thakur announced an immediate relief of Rs 500,000 to the next of kin of each deceased. Governor Acharya Devvrat, Chief Minister Jai Ram Thakur, Union minister JP Nadda, Transport minister Thakur, were among those who expressed deep shock over the tragedy. 5. The bus was on its way to drop children back home: Confirming the death toll, Nurpur BJP MLA Rakesh Pathania said three staff members, including two teachers and a driver of the bus, were also among those who were killed in the tragic incident. The victims belonged to Wazir Ram Singh Memorial school. The ill-fated bus was on its way to drop children back to their homes. 6. Death toll may rise: The death toll could rise as some students were still trapped in the mangled bus even as the rescue operation is on, police added. Local villagers had begun rescue operation even before officials could reach the spot, eyewitnesses said. 7. 9-year-old boy ensures lives are saved: An Indian Express story narrates how Ranbir Singh crawled back on the road and informed a man passing by on a motorcycle about the accident. The boy also alerted a shopkeeper about 150 m away on the Malakwal-Symbly link leading to Chamba. lived — and ensured that 10 others did too. Just nine years old and returning home from his first day in school after a break, Ranbir Singh crawled back on the road and informed a man passing by on a motorcycle about the accident. The boy also alerted a shopkeeper about 150 m away on the Malakwal-Symbly link leading to Chamba. It was this alert that helped rescuers reach the spot within the next 30 minutes, said police and local residents. 9. Bus that been inspected by authorities, says school Principal: Principal of the school, Sunita Kumari, said the bus was carrying students of all standards - from nursery to class 10. “The bus had been inspected by all the authorities and had met all norms,” she said. 10. 12 persons die in road accidents in Himachal Pradesh every day: According to a report, on an average, 12 persons die in road accidents in the state every day. From 2005 till 2015, Himachal Pradesh witnessed in total around 29,555 road accidents across the state. Our condolences to the families of the people who lost their lives in the bus accident in Himachal Pradesh. Our prayers are with you. Deeply saddened by the unfortunate incident in Kangra, Himachal Pradesh. My heart goes to the bereaved families. My thoughts and prayers are with them in this difficult hour. I wish the injured a speedy recovery. Deeply pained and saddened to hear about the bus accident in Himachal. Condolences to the families who lost their loved ones in accident.